Kindergarten is seen in public education as the first year of ‘real’ school. In traditional preschool, children begin to learn basics like colors, letters, and numbers. However, many children come to kindergarten without attending preschool, so kindergarten begins by introducing these concepts to all children. 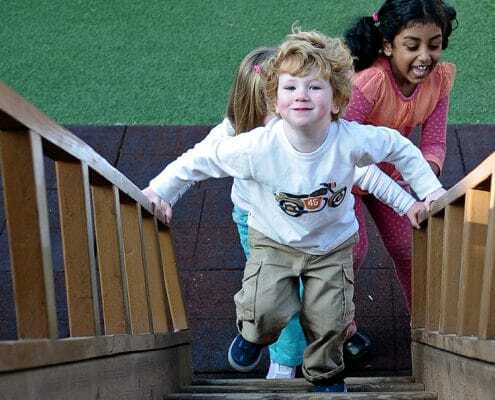 Like Montessori schools, public schools also identify development milestones or benchmarks, students are expected to reach before finishing the program. The differences between these are given in this downloadable PDF: Montessori Kindergarten versus Public School. The Montessori curriculum is not divided into grades, but into three year groupings. A comparison of public school and Montessori elementary curriculum can be downloaded here: Montessori Elementary versus Public.